Why St. Mary's? 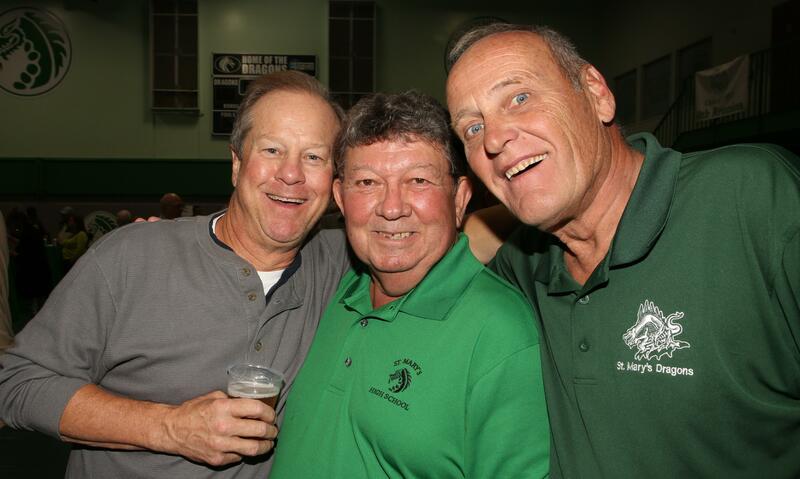 » Why St. Mary's? 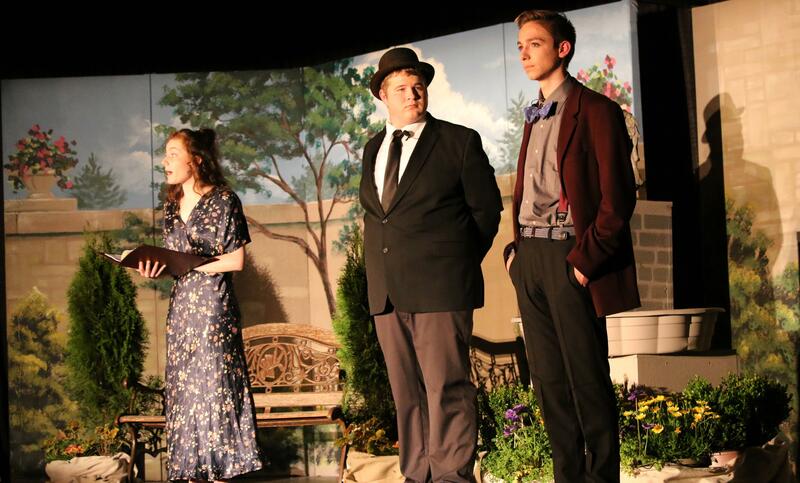 St. Mary's High School understands boys and how they learn. The student-centered curriculum is constructed to take advantage of brain-compatible learning to help students succeed. Coursework is designed to address the development of the total student-physically, intellectually, emotionally and spiritually. 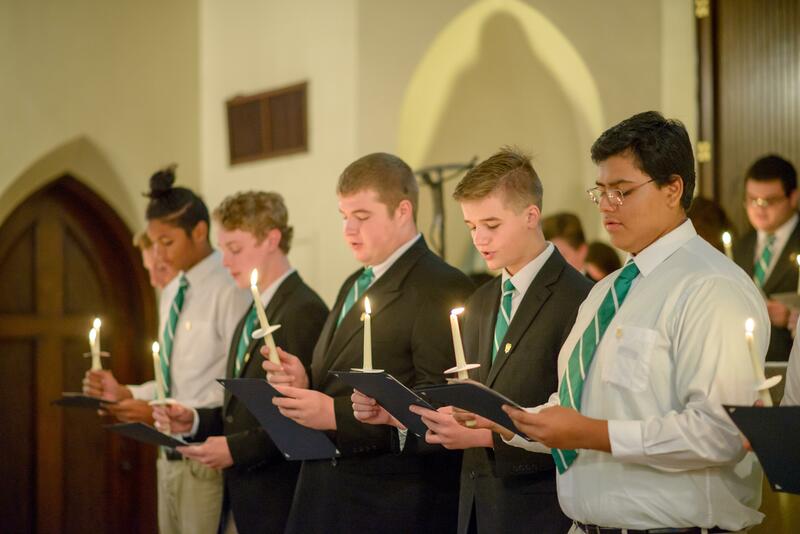 The devoted faculty and staff help young men identify their talents, reach new milestones, set new horizons, achieve at the highest levels, believe in themselves, overcome whatever weakness may exist and live in the light of Christ’s freedom. St. Mary’s men are: Embodied in Faith, Empowered by Excellence, Embraced as Family, Enlightened through Service, and Transformed for LIFE. 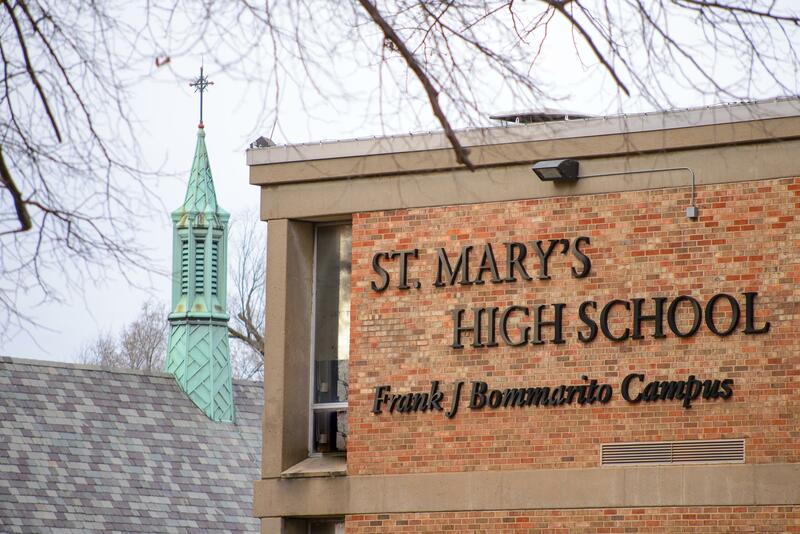 St. Mary's High School opened its doors in 1931 and has granted diplomas to nearly 13,000 students. The campus is 27 acres and is situated in the Dutchtown area in south St. Louis. St. Mary’s is supported by the Archdiocese of St. Louis and sponsored by the United States Province of the Society of Mary. The staff averages 14 years of teaching experience and more than 70% have earned advanced degrees. Our teachers have been featured in books and have won numerous awards. Students come from over 70 different elementary schools including Catholic, Lutheran, Private and Public schools and from over 30 different zip codes. St. Mary’s requires 29 credits for graduation and offers 61 hours of college credit. Honors courses are available at all grade levels. The student-teacher ratio is 13:1. Students have an opportunity to meet one on one with teachers four times a week during Academic Lab and St. Mary’s teachers provide structured study time every day for an hour before and after school in the Media Resource Center. The faculty meets in weekly professional learning teams (PLT’s) and participates in significant professional development every year. St. Mary’s college acceptance rate is 100%. 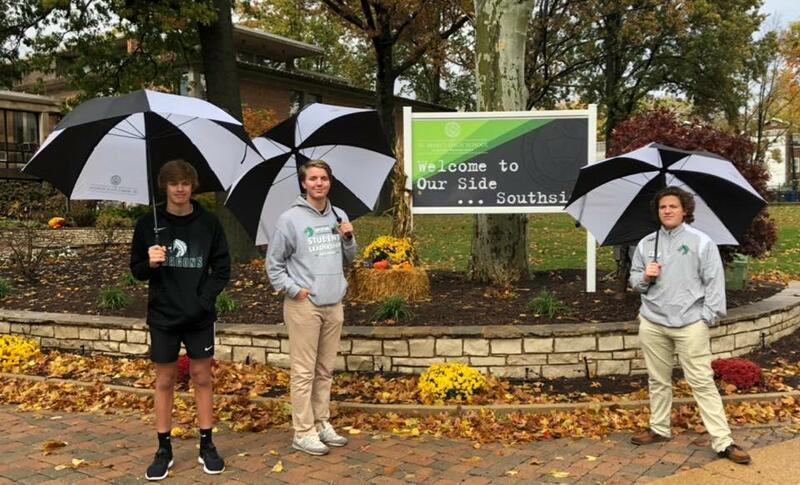 St. Mary’s students have access to real-world experiences through partnerships with the Missouri Botanical Garden, Focus Youth Leadership-St. Louis and with a variety of businesses and organizations assisting us with our Junior Shadowing Program. Honors students have the opportunity to be involved in 3 honors societies: National Honor Society, Beta Chi Pi,﻿ and Mu Alpha Theta. Students participate in a One to One Device Program using Google Chromebooks. They are used for online textbooks, note taking, online research, e-mailing, creating documents and presentations, editing pictures and using a wide variety of Google Apps for Education in the classroom. St. Mary’s offers several technology courses including Digital Art and Media, Graphic Arts, Videomaking, Computer Technology, Architectural Design and Animation. Faculty members integrate their classroom instruction with technology every day using subject specific webquests, virtual field trips, video conferencing and electronic communication tools. 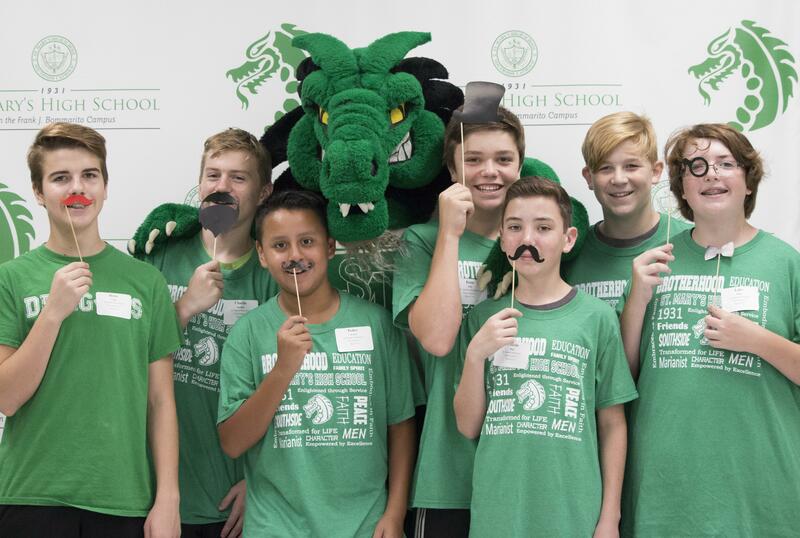 St. Mary’s students have access to 13 sports, over 20 clubs and leadership programs and superior Theater and Art Departments. St. Mary’s athletes have been a part of almost 200 conference, district, regional and state championships. If St. Mary’s doesn’t have a club, ask a teacher to help you start one! Students' faith formation includes a 4-year religious studies program, daily prayer, all-school liturgies, yearly retreats, the frequent celebration of sacraments, ongoing community service and exposure to the Characteristics of Marianist Education every day. 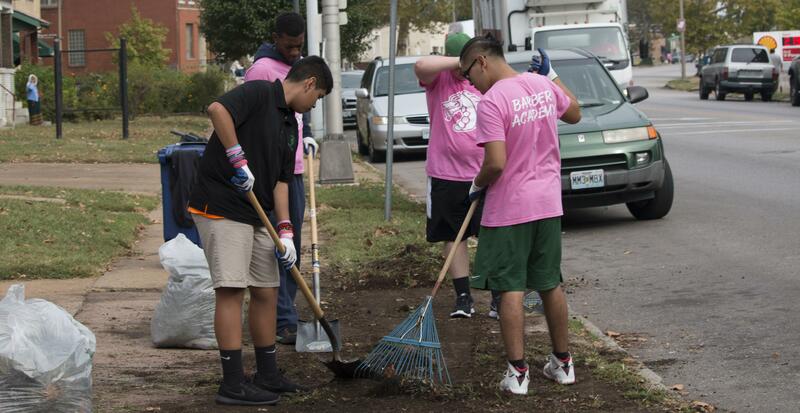 Many St. Mary's High School students participate in over 100 hours of service over their 4 years of school through the Dragon FIRE Service Program. Students travel all over the world for Service Immersion Trips, including Puerto Rico, New York, Appalachia, New Orleans, and Equador. 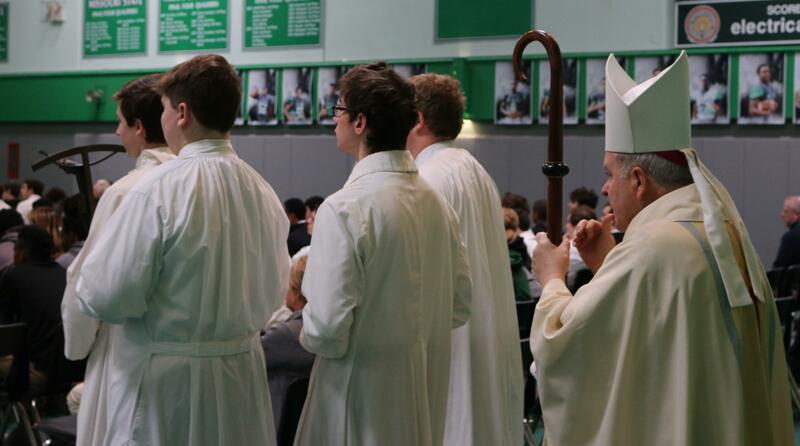 St. Mary’s offers many opportunities for students to give back to their communities including an annual blood drive, the Washington DC Pro-Life Rally, and our All-School Service Day.